Your wireless internet connection has just got faster up to 16Mbps after the launch of Photon from Tata Indicom and Reliance Net Connect high speed internet connections by CDMA operators now it’s the turn of GSM operators . Every day India’s broadband space is heating up with increasing number of competition this is directly helping the common man. 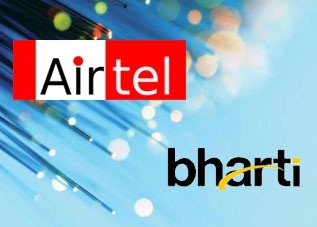 Telecom Major Bharti Airtel has announced the launch of 16 Mbps broadband internet access in three cities.The services will be initially available in Bangalore, Chennai, and Delhi NCR region, with a subsequent roll out planned in Pune, Mumbai, Kolkata, and Hyderabad few weeks later. Presently Airtel Broadband offers speeds ranging from 4Mbps to 8Mbps.Company official’s claim that the 16Mbps service is the first of its kind in the country.The average broadband speed in India is 256 Kbps currently, while in countries such as France and Korea exceeds 16 Mbps mark. Speed Combo 2999: Comes with a monthly rental of Rs 2999 with 20GB monthly Data Transfer. Speed Combo 4999: Comes with monthly rental of Rs 4999 with 16Mbps monthly Data Transfer. Now subscribers can download a 4 GB HD (High definition) Movie within 30 minutes compared with more than 12 hours that of 256Kps connections. will this 16Mbps improve the speed of download of torrents files? ?